I had the loan of the Meridian 15 and 16 thermoformed kayaks from Lattitude Kayaks for the last month or so. 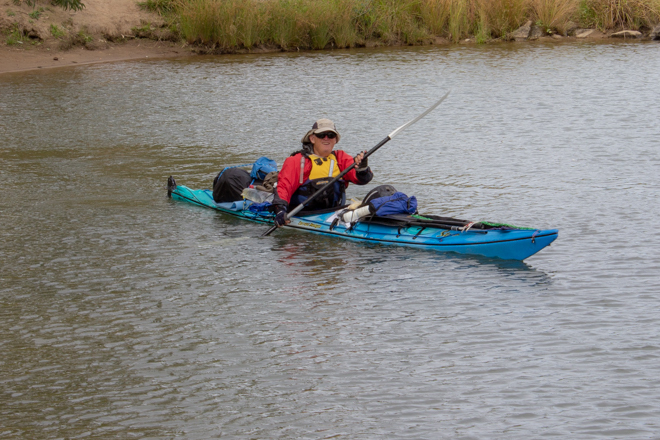 These are a recreational range of touring kayaks designed for rivers, lakes and calm coastal waters. A number of paddlers in our group have tried them in a range of conditions and had a great time. Luckily they did’nt get scratched, even going down the Penrith White Water course !!! A well made thermoformed plastic kayak that fits nicely into the recreational area. I have been paddling the 15 model a number of times on coastal paddles, and would be happy to take on any river or lake expedition. Seem very good value for money as they are similarly price to the heavier plastic rotomoulded models. Might have to think about one of these for a 2 week paddling trip I’m planning on the River Murray. Not sure if he will lend me a kayak again after they see the video. Check out our video to see what we got up to.